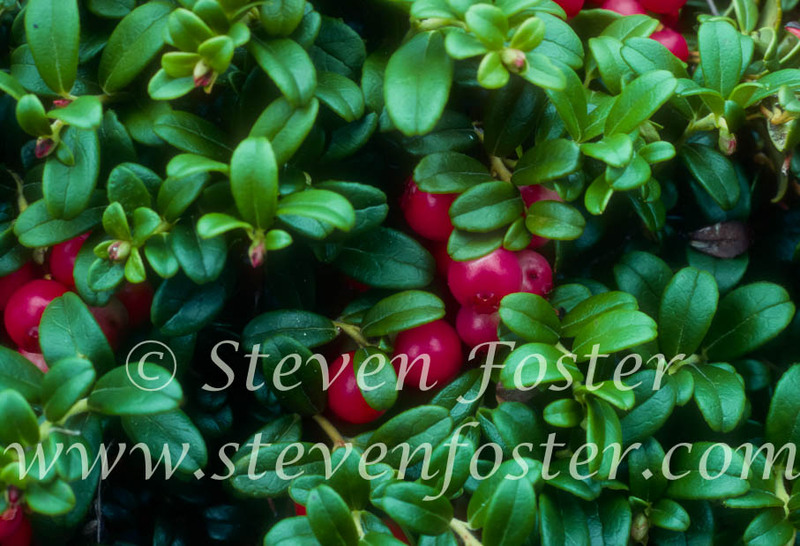 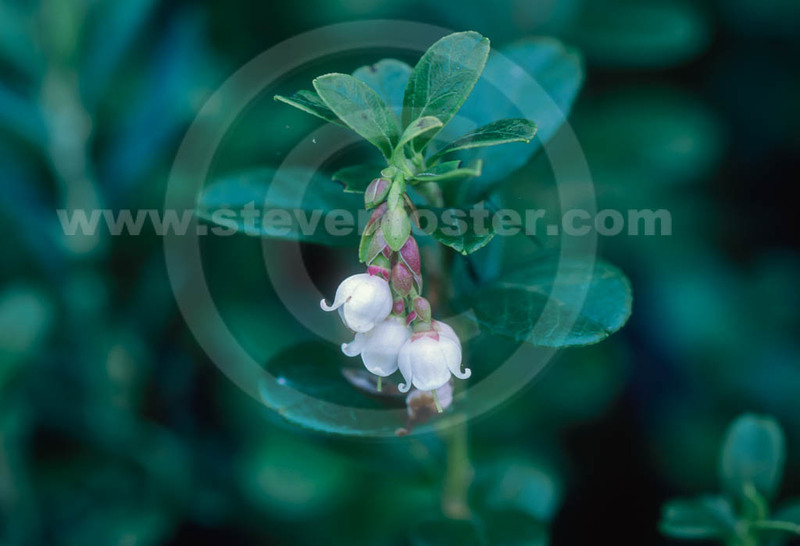 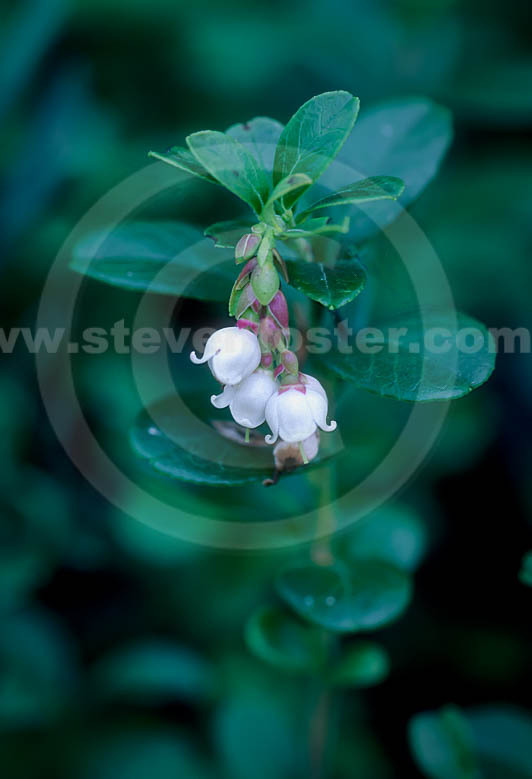 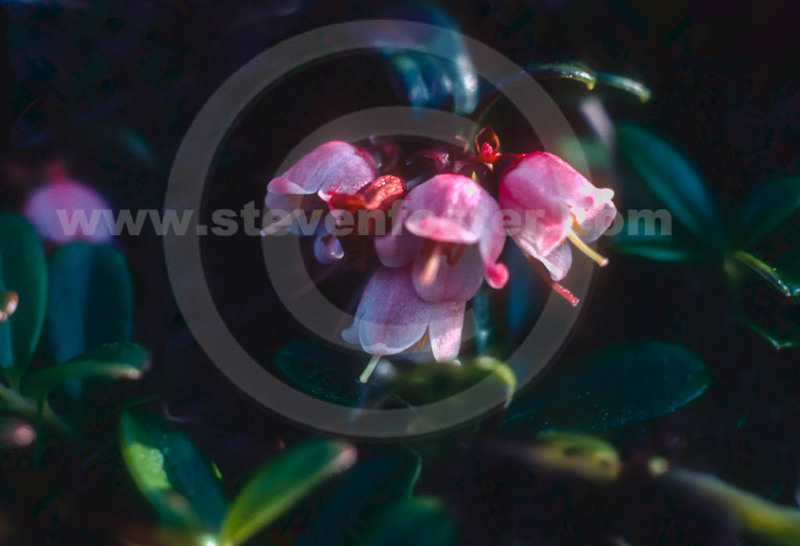 Photos of Vaccinium vitis-idaea, Lingonberry, Foxberry, Northern Mountain Cranberry. 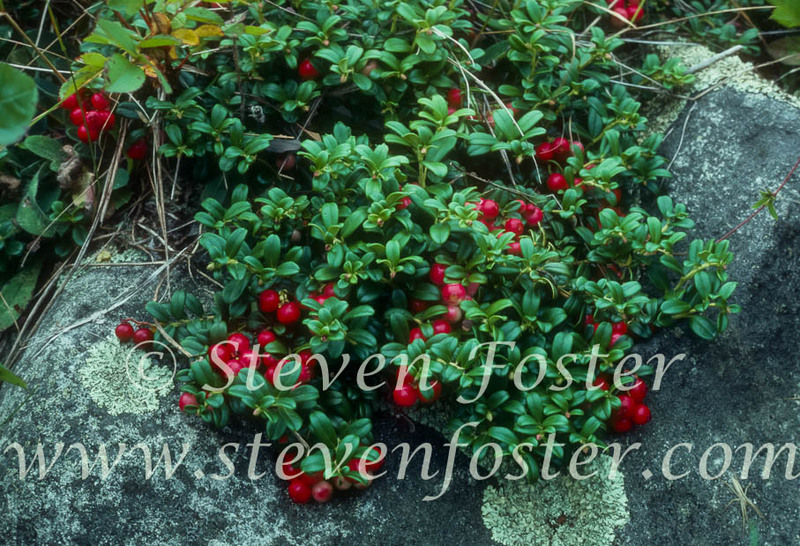 Vaccinium vitis-idaea, Lingonberry, Foxberry, Northern Mountain Cranberry. 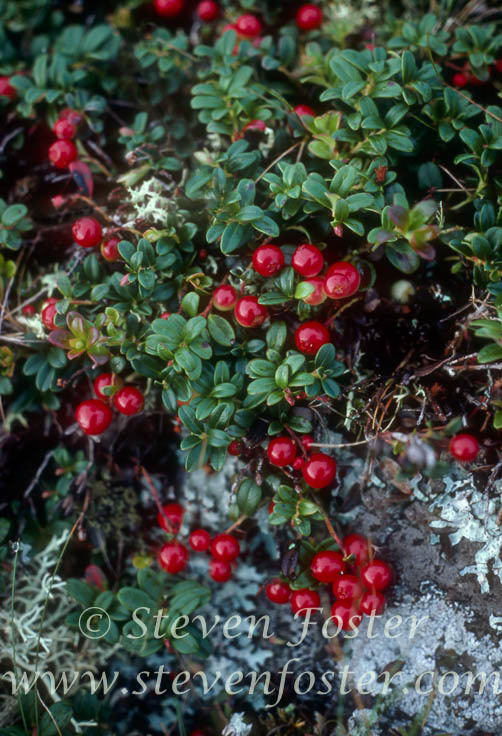 A circumboreal northern and Arctic species, with little flavor, but becoming more acidic and sour after a frost. 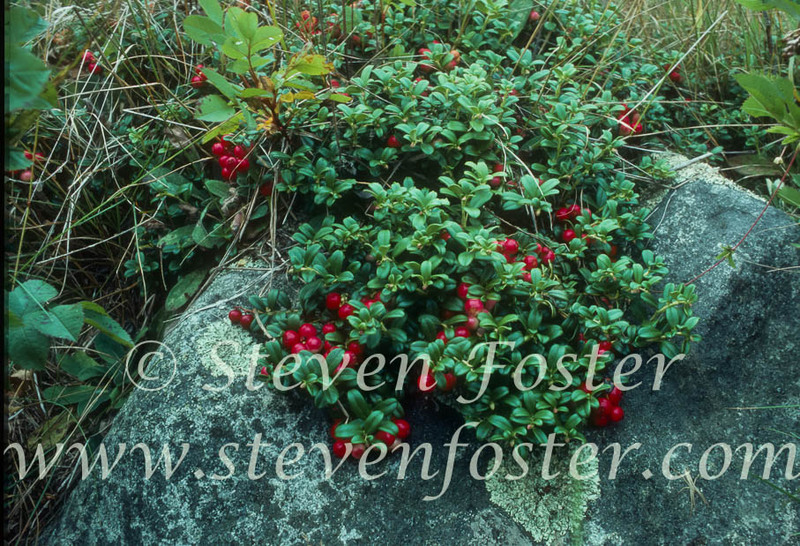 Thoreau sweetened and cooked the berries to make a desert. 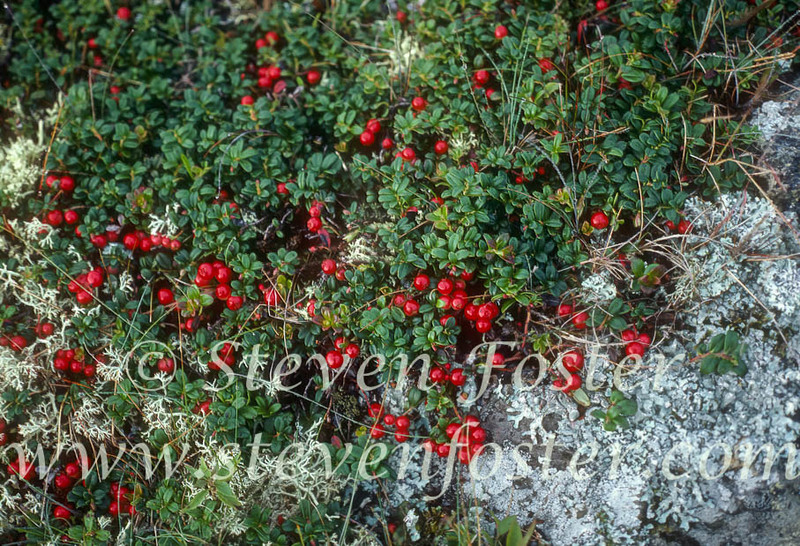 In Siberia, indigenous groups kept the fruits in water over winter to consume the following spring.